In addition to our scheduled special events, the sanctuary is open for tours and visits by appointment. Please call 301.428.8128 or email us to schedule a visit. Please try to be on time for your scheduled tour, and allow extra time for finding the sanctuary if this is your first time visiting. If heavy rain is forecast, we may need to reschedule. Call to check on your tour status if there is any question about the weather. Individuals or small family groups can call or email to find out about our schedule for weekend tours. Due to our small staff, we cannot offer small private tours on weekdays, but we usually will offer at least one tour that individuals may join on each weekend, except on or near event weeks. There is a $5 suggested donation/person, or you may give any amount to benefit the rescued animals. Individuals who are sponsors of an individual or several animals are welcome to visit their animal(s) with 24 hour notice, on any day except Wednesdays. We prefer that you visit in the morning, when staff will be around to assist you – please call or email for an appointment. Poplar Spring is home to over 200 rescued animals – we have horses, mules, pigs, sheep, goats, chickens, turkeys and many other animals, including free ranging wildlife. 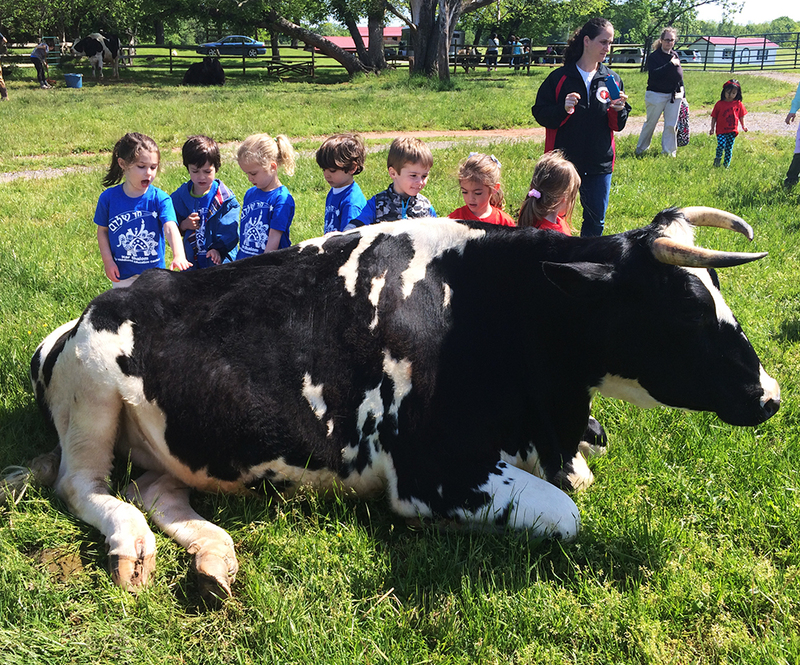 During the tour we will walk around to all the different barns and visit the animals to meet them and hear the stories of where they came from. Every animal has a name and a story, and many are very friendly and sociable. We will be able to interact with the animals, and during the tour you will be able to pet many of them, give a pig a belly rub, and hold some of the chickens. During group tours we often provide some treats for the animals so that visitors can experience feeding them. Tours last approximately one hour, but may be longer depending on the size of the group. With large groups of children it is recommended that you visit the restroom before coming for the tour. There is only one Port-A-John available, and this can take a lot of time before or during the tour if there is a line. There is also a hand washing area with a sink, soap and paper towels that visitors are welcome to use after the tour. We have a small gift shop you are welcome to browse before or after the tour, with t-shirts, crafts, notecards and other items that we sell to benefit the rescued animals. We accept cash, check and credit cards for gift shop purchases and donations. Poplar Spring is a 400-acre sanctuary with no paved roads or sidewalks. It is wheelchair accessible on the grass and gravel roads to most of the barns but there are a few small hills that will need to be navigated. We recommend wearing clothing and shoes that you don’t mind getting dirty as the paths and barns (and animals) can sometimes be muddy or dusty, depending on the weather. We may be walking through tall grass to see some of the cows or other animals that may have wandered from the main areas, so if it has rained recently, boots might be a good idea. If it is actively raining, we may need to reschedule, as the tour is all outdoors and many of the animals are afraid of umbrellas. You should dress appropriately for the weather, and wear shoes suitable for walking through grass. If it is a hot day, you may want to wear sunscreen and bring water with you on the tour. Cameras are welcome, and there will be many wonderful photo opportunities on your tour. © 2019 Poplar Spring Animal Sanctuary. All rights reserved. Photo credits: Mark Peters Photography, Tatiana Méndez, Maureen McGowan.